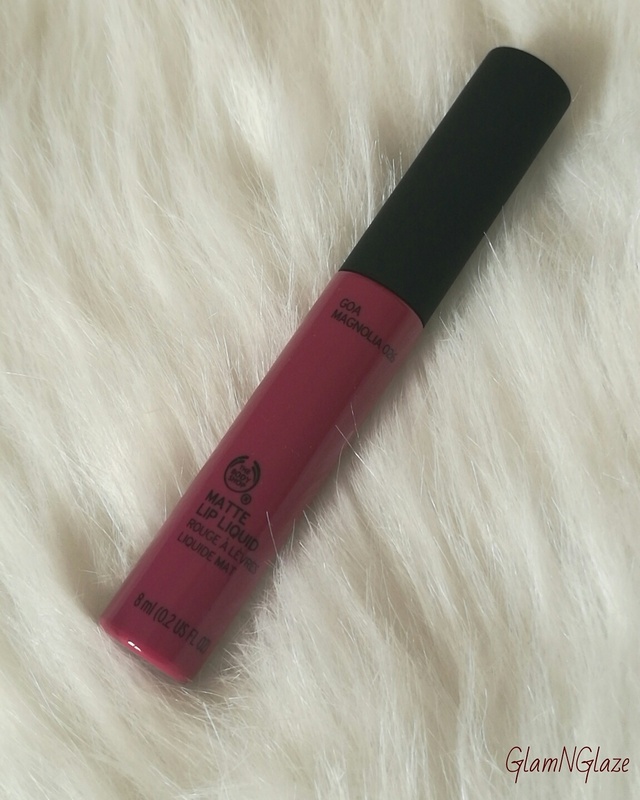 Today I am going to review the The Body Shop's matte lip liquid lipstick in the shade:Goa Magnolia! The Body Shop is a cruelty-free and vegan brand. I love the raspberry-pink colour in general and that's why I purchased this lipstick. *The lipstick comes in a coloured plastic tube with matte-black lid. *The tube's colour matches the colour of the lipstick. 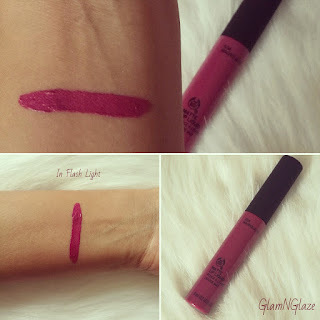 *All the details about the quantity,shade-name,number and shelf-life etc are mentioned on the lipstick-tube. Lipsticks in this collection are highly water-resistant.Use a good makeup remover to remove the lipstick from your lips. Usually,liquid lipsticks tend to dry-out the lips because of the formulation,but,this lipstick is really well formulated.Lips don't feel dried-up badly. It doesn't get transferred and survives light meals...cool! Overall I like this liquid-lipstick,the lipcolour is beautiful.You must check out the entire collection. There are nudes,bold reds and pinks and an orange shade as well. *Always exfoliate your lips well in advance before applying any liquid lipstick.Apply lip balm.